M97 is pleased to announce INTO THE LIGHT, a solo exhibition of vintage silver gelatin prints by Fan Ho, one of the great masters of black and white photography. The exhibition opens September 7th at M97 Project Space [170 Yueyang Road No.1 Bldg. 3 #102] and will be on view through October 31st. An opening reception will be held Monday September 7th from 5:00 to 8:00 PM. 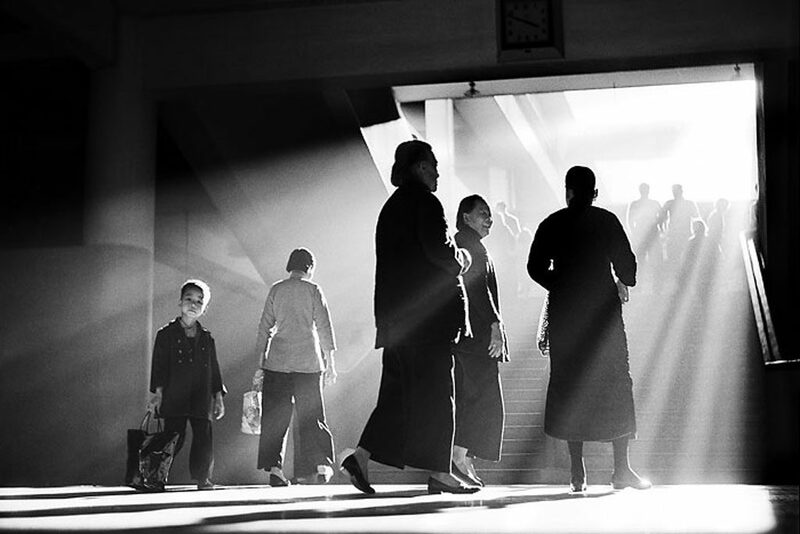 This is Fan Ho’s first solo exhibition at M97 and the first ever exhibition of the artist’s photographs in his native Shanghai, where his career started at the age of fourteen. The INTO THE LIGHT exhibition features a selection of vintage prints developed by the artist in the dark room close to the time the image was captured, including some award winning photographs like ‘Street Scene’. The exhibition provides an insightful look at the artist’s long stretching career, giving the viewer a rare chance to deepen the understanding and importance of this exceptional artist in the context of the history of Asian photography.